Everyone agrees that writing tests is important, but not everyone does it. As you introduce new code, tests ensure that your API is working as intended. 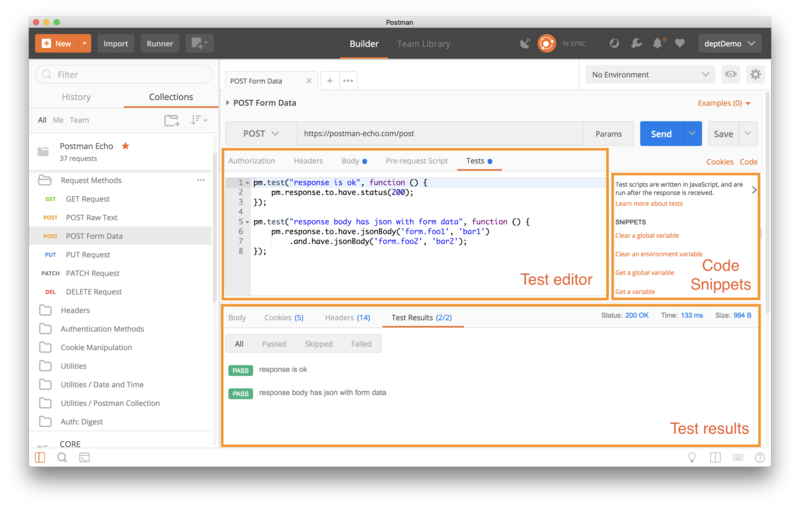 You can write and run tests in Postman for each request. As your codebase grows, you want to make sure you’re not breaking anything that was previously working. The higher your test coverage, the more flexible and bug-resistant your code will be, and the less time you’ll spend debugging hot fixes in production. How advanced is your team when it comes to testing? Writing tests – Most people agree that writing tests is important, but writing the first test is sometimes the biggest hurdle to testing. Once you’ve written your first test, every subsequent step becomes infinitely more manageable. Code snippets – The first step is to use code snippets. These stubs demonstrate how a Postman test runs, how they’re structured, and show test results. 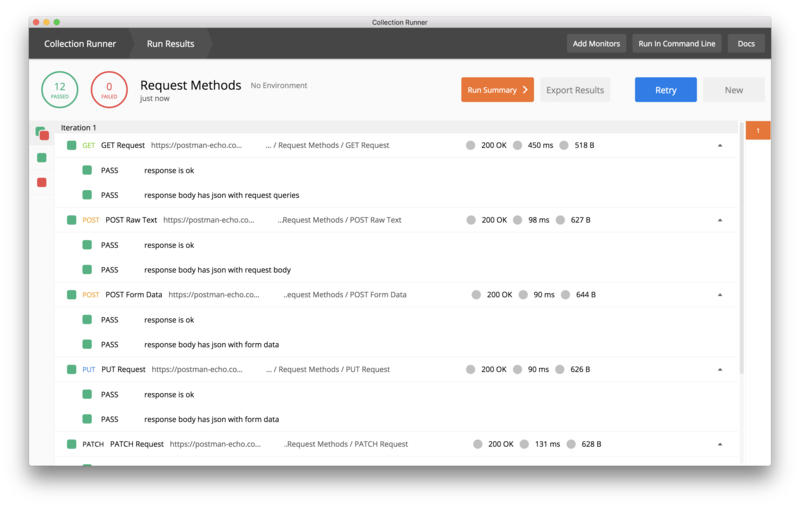 Run the collection – Now it’s time to run your requests, along with their respective tests, together as a collection. There are several ways to run your tests – e.g. 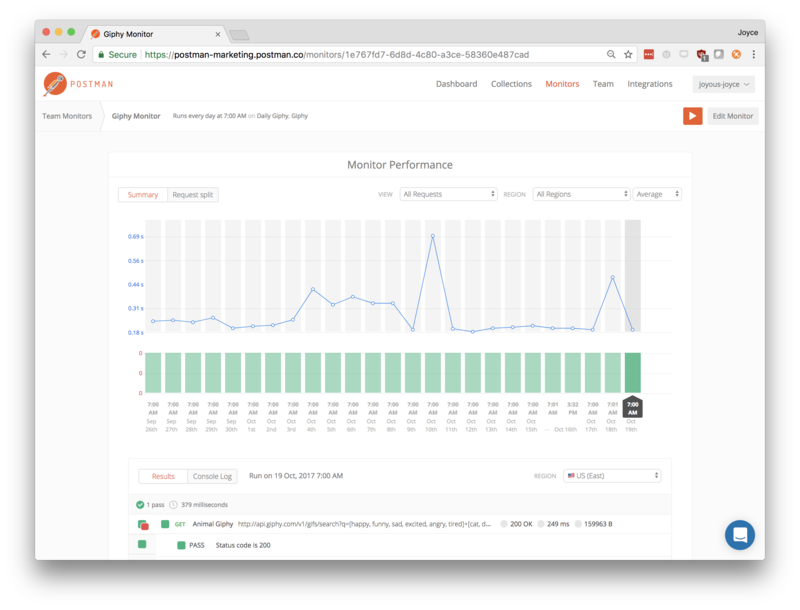 Postman’s collection runner, Postman’s command line tool Newman, or with a Postman scheduled monitor. CI / CD integration – If your team is churning out code, the last thing you want to do is manually run these tests every time someone has a bug fix or feature update. When in doubt, automate! If you haven’t progressed to Step 5, keep reading. With Postman, you can add scripts to your request to use dynamic variables, pass data between requests, and write tests. Code added under the Pre-request Script tab will execute before your request is sent, and code added under the Tests tab will execute after your response is received. 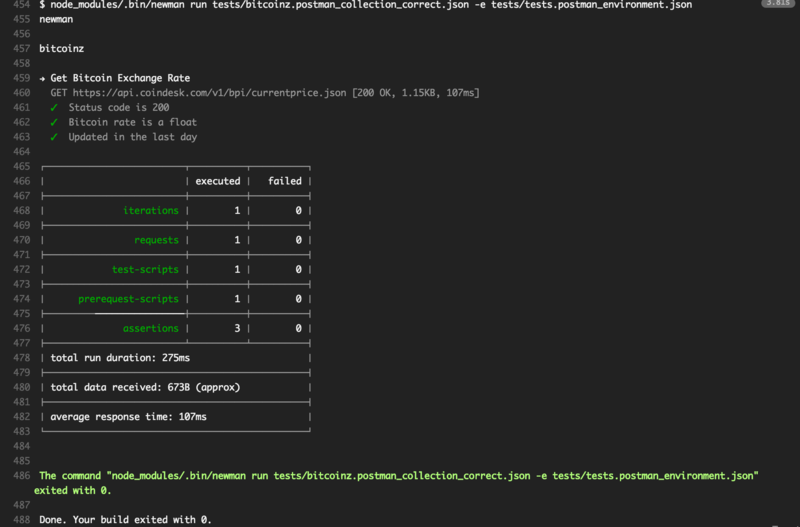 When running a collection using Postman’s command line tool Newman, you can view your test results in the terminal. And that’s it. If you haven’t progressed all the way to Step 5, then it’s time to get crackin.